EKTE Spirits – Independent Rum bottler hailing from Denmark! First time I tried rums from Ekte Spirits was last year at the UK rumfest and what I found was good…I also liked the design of the labels with their unusual names such as “Pungent and Geeky” or “Spicy and Rich”. This year at the Paris rumfest they were back but also with a new selection of limited release rums which were some very good rums. I have a selection of a few of the blends and one of the limited release up for review but you can also see some pictures from the Paris rumfest here. The name Ekte comes from the word marriage (aegte) in Danish, because they see themselves as a blending house to start with and then moved on to the private bottling with the development of the wide range of Ekte rum (including the five blends and the six limited edition rums) which originally were bottled and blended in Denmark, but are now coming out of Europes second oldest family owned distillery, 1831, in northern spain…the destileria Acha. The entire philosophy of EKTE is transparency , something that I for one like to see more of! This rum is Jamaica and Barbados together…the ABV is 47% and it´s a blend of eight different types of rum among them some overproof rum. The appearance is a golden yellow clear liquid with a sort of buttery nose with a lot of tropical fruits like banana, mango, bananas, apricots and dried raisins. There´s also something grainy or malty in the nose. You can dip your nose deep into the glass without getting a whole cloud of alcohol fumes and in overall it`s quite mild and round. In the mouth you get the same rich tropical fruit notes delivered with a slight kick and a sharp hint of cask. The rum appears quite dry or semi-dry, if it has any sugar in it it has to be very little. 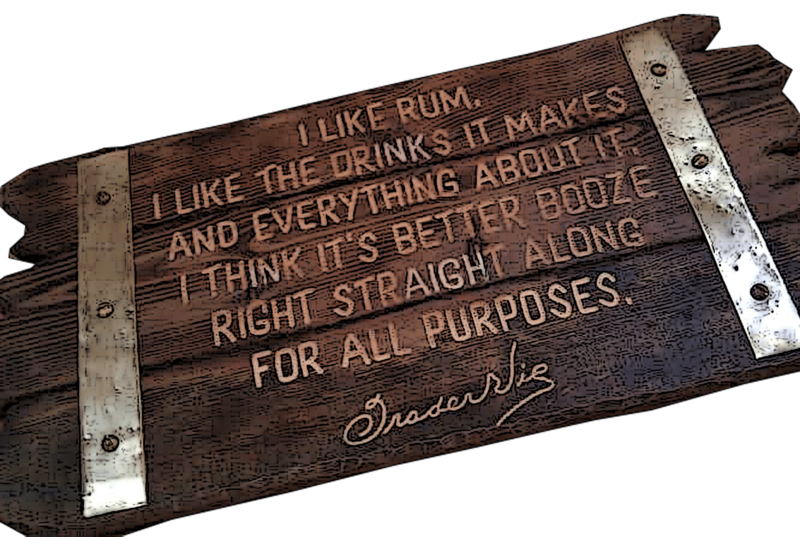 The mouth feel is not too viscous but it´s a robust and pleasant rum with a great aroma. Me like! The finish I find to be medium long and nice. 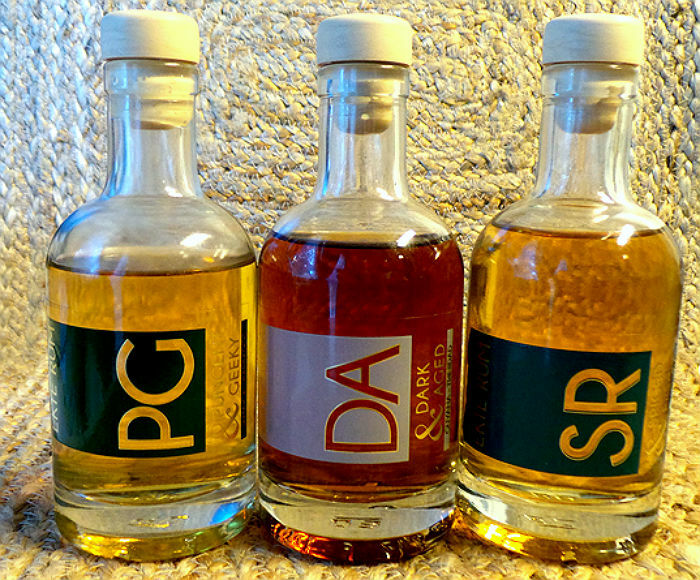 The Dark and Aged blends rums from Guyana, Trinidad and Barbados. 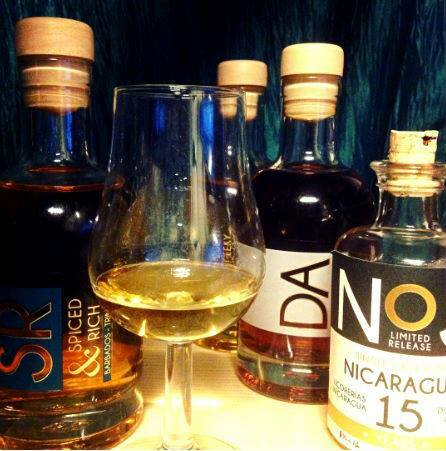 It`s up to 5 year old pot still rum blend from Guyana (demerara from DDL) and up to 5 year old column still rum from Trinidad and 8 year old rum blend from Barbados. ABV is 38%. The color is a nice mahogany brown color with excellent clarity. In the nose there´s a bit of oak barrel and vanilla, orange peel, lightly fruity and sweet, it´s not a heavy nose. In the mouth comes the same notes of vanilla and orange, it´s a bit light and slightly on the sweet side and not as heavy and dark as the name “Dark and Aged” sounds to me, but sure there´s elements of Guyana in it adding body. 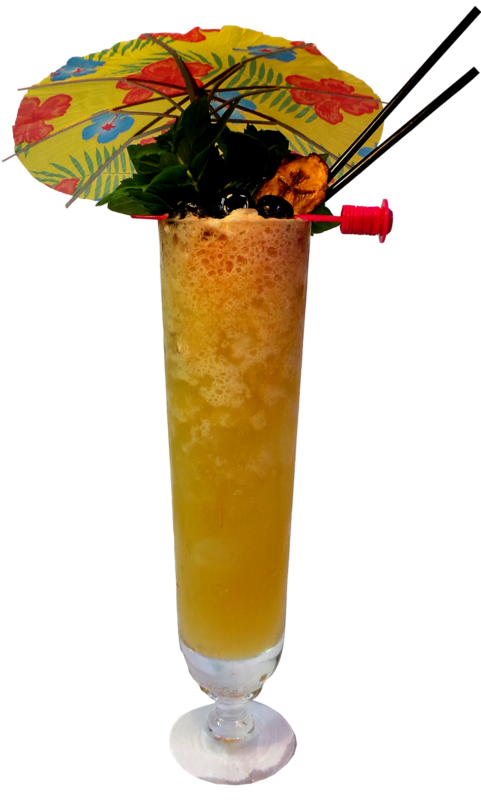 There´s a pronounced orange flavor in this rum, somehow it reminds me a little bit of Pyrat, maybe it`s just those hints of orange…Overall it´s a good mixer and sipper. Hailing from Barbados and Trinidad, the Spiced and Rich has a very light nose, of slight perfumey vanilla notes. I already had a feeling this would be too sweet for me and I was right, it´s too sweet for my palate and it has very much vanilla in it. For those who likes light rums with vanilla notes, it´s an elegant rum and only lightly spiced even though to me it could benefit from less vanilla and sugar. The ABV in this one is 43% which I cannot detect at all, so it´s stronger than it tastes like. 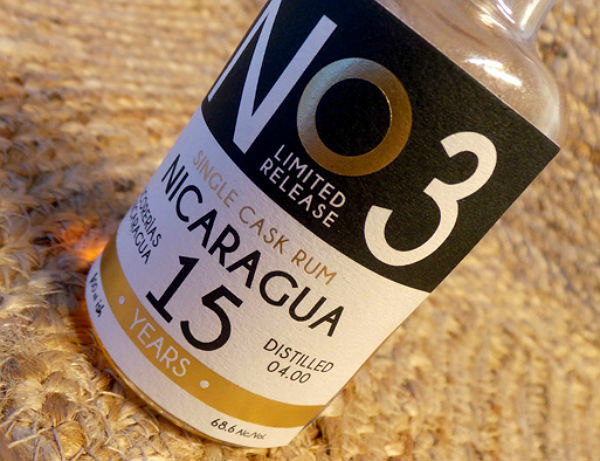 This rum is a column still single cask rum at 68.6%, and 250 bottles was released. The nose is that of deep cask and very full bodied, deep, strong, woody, and full of flavors, tobacco, leather, cask. Due to the high ABV I pick up some medical notes in the beginning but they give way to deep flavors…it´s an exceptional rum, well balanced. The ABV is 68.6%. Conclusion: The EKTE Spirits blends and single casks are worth seeking out and trying but these are just a few of them. I cannot pick a favorite since I haven`t tried them all but to me the single casks are the most interesting…and the one I like the most of the blends so far is the Pungent and Geeky. I tried a few others at the UK and Paris rum fests and they were really good as far as I can remember. I also like the design of the bottles and the labels with their simple yet cool design. 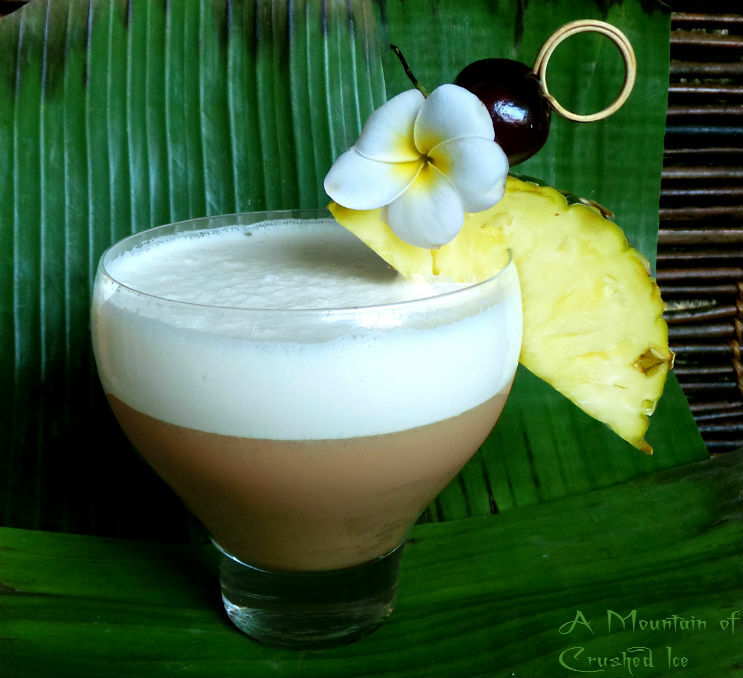 So with the Aged and Geeky I decided to make a Colada variation adding some coffee notes and a bit of bitterness from Campari. The Aged and Geeky mixed very well with all these ingredients without loosing itself in the sumptuous mix of flavors and the cocktail was very tasty! Blend in blender at high speed for 10 sec with 2.5 dl/1 cup crushed ice and pour into a snifter. 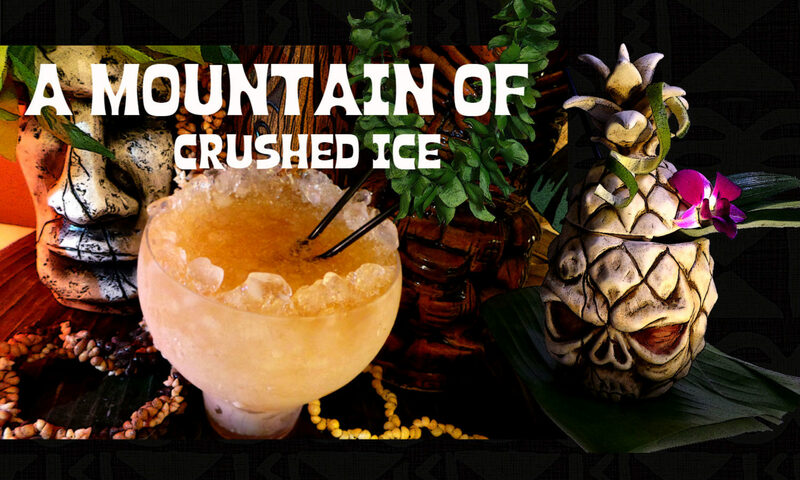 Next up is another tiki extravaganza, with Dark & Aged and Pungent & Geeky, fresh lime and pineapple juices, peach nectar, rich honey-mix and a little spice from Angostura and Pimento dram. Pulse blend in blender at high speed for 5 sec with 2.5 dl/1 cup crushed ice and pour into a tiki mug, fill up with more crushed ice if needed. 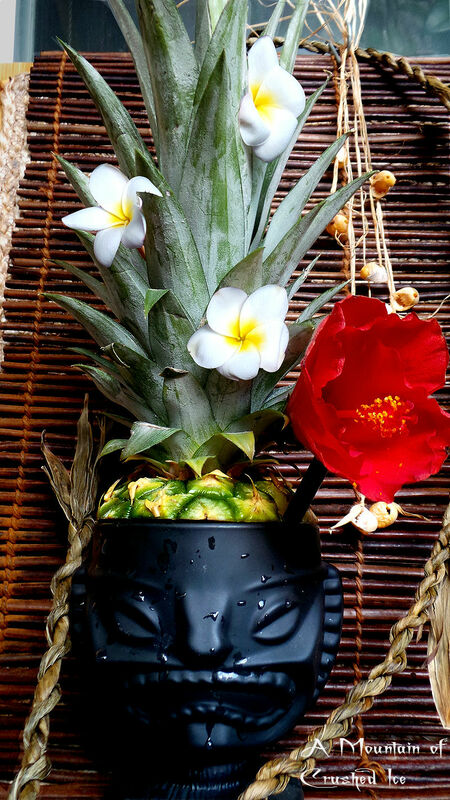 Garnish with a pineapple crown. Grand, extravagant, sumptuous and lush! 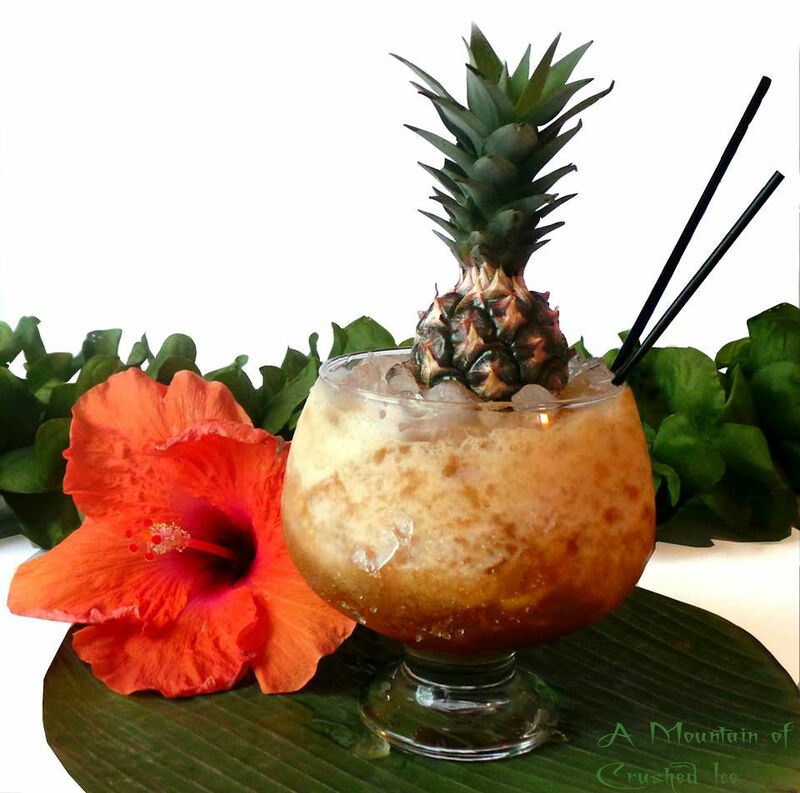 Shake (or use hand blender) and strain into a chilled cocktail coupe or speciality glass. Previous PostPrevious Rhum Agricole – Arcane Rum from Mauritius! Next PostNext Welcome to Baba au Rum….